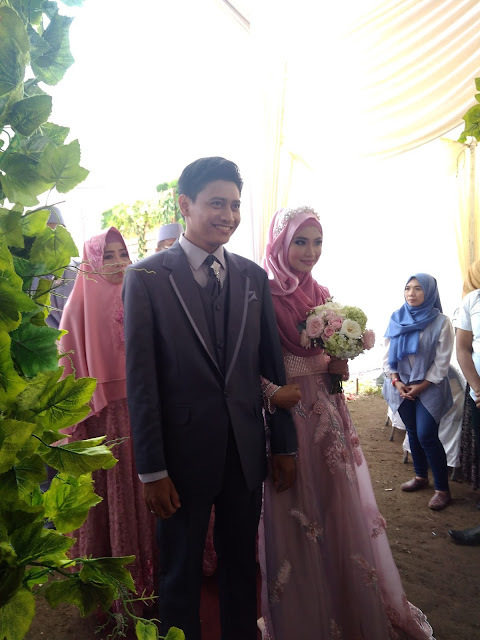 Another good news came from my classmate who held her wedding in May 7, 2017. 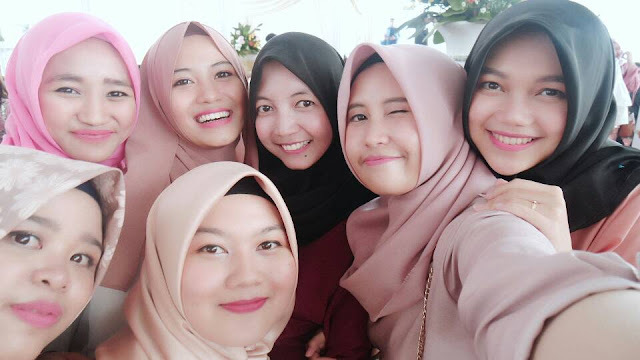 She held the wedding near her house in Majalaya. Therefore, my friends (Rere, Ulfah, Emak, Mamay and A Pian) and I decided to go to Ulfah’s house in Rancaekek to prepare before we went to Hera’s wedding. 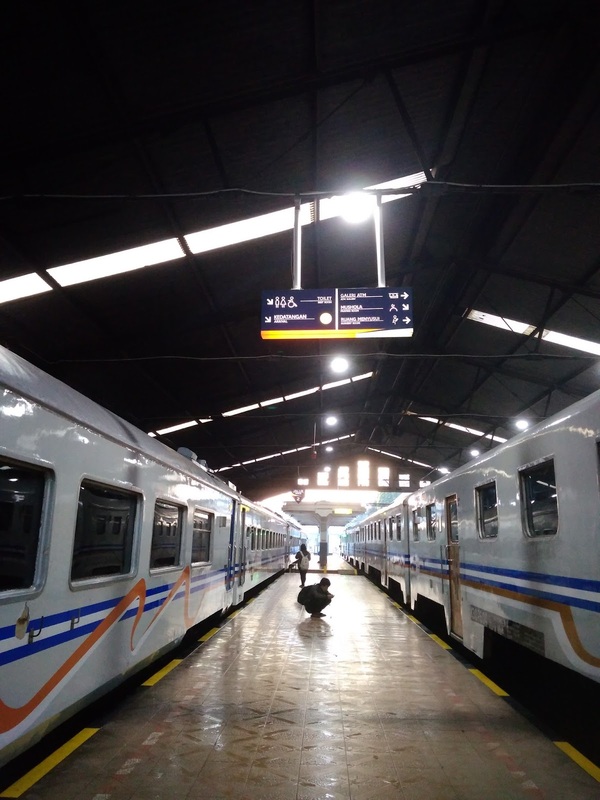 We went to Rancaekek by train and I was so excited because I used to use train long time ago when I was a kid. 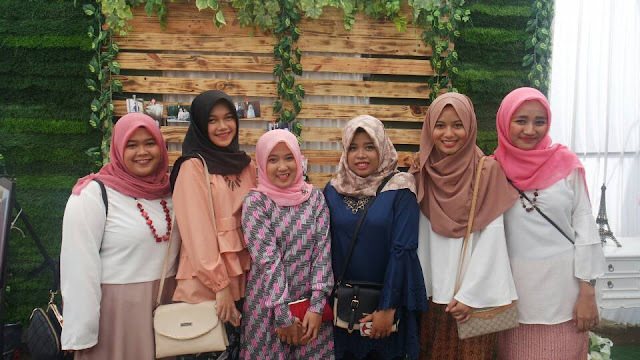 After we arrived in Ulfah’s house, one by one prepared the dress and Regina was responsible to make up all of us, since she’s great doing make up things. 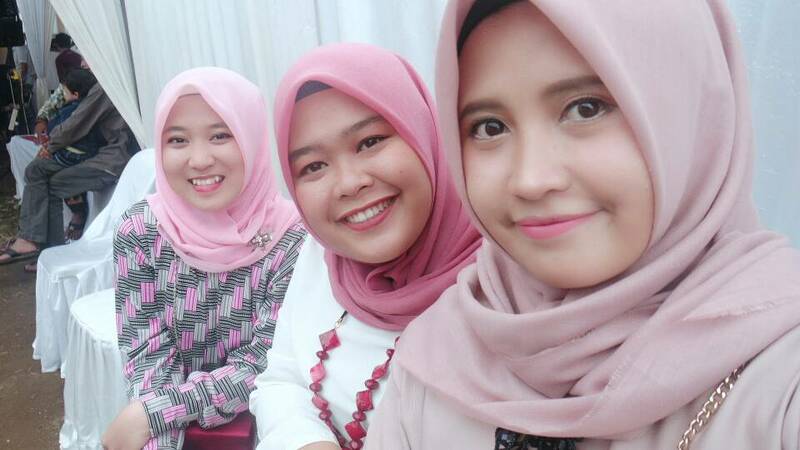 Then, we went to Hera’s wedding with one member added, Ojan. He is also our classmate. When we arrived, we took some pictures before the bride and the groom came. 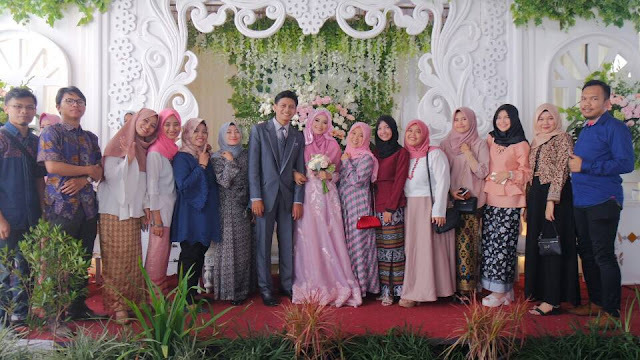 There’s a lot of picture that we took and not long after that, the bride and the groom came. Hera looked so beautiful and so did her husband. They seemed very happy and Hera smiled brighter than she did when she was still in college. Lol. We wish you live happily ever after.